Home · Property Management · Latest News : Is It Time to Rethink Who Pays for Bedbug Treatments? Is It Time to Rethink Who Pays for Bedbug Treatments? Landlords usually get stuck paying for pest extermination in rental properties. That’s because landlords have to provide habitable premises, and that means units free from bug infestations. But with a resurgence of bedbugs plaguing both tenants and landlords alike, is it time to rethink who pays for pest control? A property management firm in the Dallas area thinks so. The company has been in the news after a tenant complained to a local station about finding bedbugs in her furniture–and then being charged for the treatments. According to the report, charging the tenant for bedbug control is standard practice at this apartment complex. A spokesperson for the property managers explained the policy: allow the tenant an opportunity to inspect the vacant unit and search for bugs. If the tenant moves in and finds bugs at a later time, the company assumes it was the tenant who brought the bedbugs into the property. 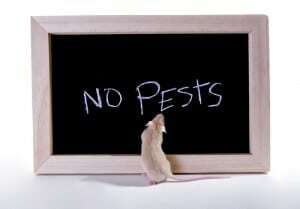 The company handles the pest control, but charges the tenant for treatment. The company also has tenants sign a lease addendum outlining the policy. Unlike other pests, bedbugs remain dormant for many months at a time. They can hide in very small spaces. They also crawl from one unit to the next fairly easily, and are night owls. That makes it difficult to determine conclusively whether the bugs are present at any given time. What do you think? Should landlords charge tenants for bedbug treatments? Do you have a bedbug addendum in your lease?